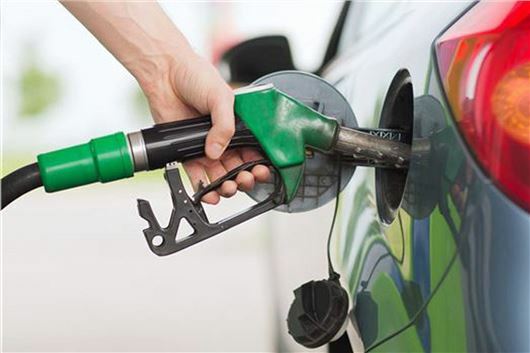 Asda has announced that it's cuttings petrol prices by 3p-per-litre - just a week after a similar cut, and prompting a price war with rivals Tesco, Morrisons and Sainsbury's. The value supermarket was the first of the big four supermarkets to announce that motorists will pay no more than 119.7p-a-litre for unleaded and 131.7p for diesel at its filling stations across the country. However, motoring organisation the RAC says that declining wholesale prices for oil mean the price cuts have been "an extremely long time coming". “On the face of it, retailers are banking over £2.75 every time drivers fill-up their tanks with petrol," said RAC fuel spokesperson Simon Williams. "If they were playing fair and passing on the savings they are making as a result of lower wholesale prices then drivers would be enjoying a saving of this amount every time they visit the pumps. "For this reason we believe Christmas has come early for fuel retailers across the board this year as they have been reaping the benefits of some of the biggest margins on fuel the RAC has seen in almost four years." Last month, the Government announced that fuel duty would remain frozen for the ninth year in a row in a bid to cut escalating costs for motorists. Great news for drivers of petrol cars, but when are diesel car drivers going to see a reduction in prices? I’d dearly love to know why diesel costs up to 55p a gallon more than petrol! The diesel con continues. I fell for it five years ago and bought my first and only diesel because I was travelling 20000 miles a year. The extra cost per litre was outweighed by the better efficiency. But the engine was so complex that it failed terminally before reaching 100000 miles. My previous petrol powered nissan had covered twice as many miles when I foolishly changed it. I have gone back to petrol and swear never to be fooled again. yes we have been conned by the Government and they will not answer us. They are accountable to us, the electorate not their policies, cronies and boardroom buddies in the corridors of power. They will never answer us. Similarly the oil companies are profiteers and give us very vague reasons why they are slow to reduce prices and act instantly when the prices go up. We are totally disempowered to vent a voice to the con tricks known as fuel. The French protested on the streets to express their discontent. Will we do the same or just nod and accept it? We just have to see what the French are doing, they have had cheaper fuel than us for years, COME ON BRITAIN. It would seem that most of the automotive vehicles on the roads are diesel powered (I`m including lorries , buses and taxis) so it`s in the government`s interest for duty and vat income to keep the pump prices as high as possible. With regard to earlier comments the British will not revolt unless the youngsters are affected as in Thatcher`s Poll Tax and the Toxteth Riots of yesteryear much supported by ``Rent-A-Crowd`` and the Anti Facist Movement. The nearest we`ve seen on a riot against fuel prices is the commercial protests of ``Fair Play On Fuel`` strikes by tanker drivers in recent times. I`ve had diesel powered vehicles for many years and haven`t had a lot of bother because I keep the air supply and the engine oil as clean as possible. Blown turbos are usually the result of dirty engine oil. My current vehicle is a Ford which has done almost 200,000 miles on the same turbo and engine. My wife`s diesel Alhambra used for the school run and her getting to work is on 189,000 miles. We can have this discussion for eternity, until we stand up, shout out and make our voices heard , respective money grabbing governments who couldn’t care less about fleecing motorists,100% ARROGANT and GREEDY Oil companies AND ditto to all fuel selling Supermarkets will continue to rip off the already ripped off, mugged and burgled motorist. Oh sorry, I missed out the money grabbing, bus lane and parking bandits better known as our caring councils and not forgetting the toothless Motoring Organisations RAC/AA who shout a little but are totally inaffective, things will continue as they are. You missed out the biggest rip off merchants being the respective Governments who have successfully levied 70% in tax terms on each Litre of fuel. It's the d******* 'Save our Planet' types who grate with me, vehicles account for 5% of emissions worldwide the rest is down to heavy industry. I use Premium ESSO diesel because I am told it is cleaner and better for the engine. Why do I have to spend nearly £1.50 a Litre? Totally correct, Paul Mack! As the British won`t revolt perhaps the best we can do as motorists is to send a short note to our member of parliament to tell them that we will not be voting for them at the next election unless something is done by them to reduce fuel (diesel) prices. This not voting threat I`ve seen to work on a couple of occasions with regard to company closure and job saving. Most M.P.`s are contactable just by writing to them care of the House of Commons, London, SW1, or by e-mail as well and although they may well have other`` irons in the fire`` most would hate to lose their £100,000 + full of perks jobs as M.P`s. I should declare that I have worked in the past for some oil companies and their distributors so know a little about fuels and oils. All of them love ``stock profits`` where they have existing stocks of a product and due to the price of the basic product, (crude oil) increasing then they increase the price immediately despite having a stock of an already refined product - another scam! With regard to Freelanderman`s query you are buying ordinary diesel but with a higher detergent additive than the basic diesel fuel. You can choose this route or buy ordinary diesel and occasionally put your own chosen fuel (detergent) additive in your vehicle`s tank which you`ll also have to buy. The choice is yours. Since my last note, fuel prices in Darlington have dropped by an average of 5p per litre ! Which for me over a 12 month period of using fuel will ‘save’ me £60!! £60 over 12 months equating to £1.25 per week. On the back of this I have booked a Caribbean cruise (not)! Without repeating my earlier note (which I stand by 100%) I am in favour of Smartie’s suggestion to make contact with our relevant MP’s to highlight our thoughts, anger and frustration. As Smartie said, an email to our MP’s is all it takes. Can I suggest we start doing just that or do we just put up, shut up and continue be fleeced? I’m gonna be doing mine in a few mins.